Sleep makes you feel better, but its importance goes way beyond just boosting your mood or banishing under-eye circles. Adequate sleep is a key part of a healthy lifestyle, and can benefit your heart, weight, mind, and more. In most cases, the health risks from sleep loss only become serious after years. That might not always be true, however. 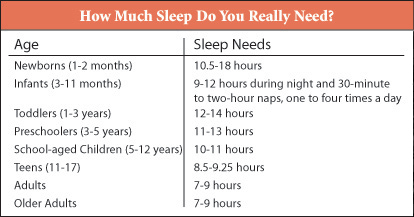 9 Suprising Reasons to Get More Sleep - Learn more about it here. Benefits of Sleep - Read more here.